Connect Four, CD Shoot, Jigsaw, oh yeah lets throw Backgammon into the mix and arrange a night in with the local book critic club! Hardly the most inspiring "Must Have" collection of games. It wasn't until 1993 that the tide started to turn and Philips began to realise the importance and profitability in games. The 7th Guest, Space Ace, The Apprentice, Lemmings and Striker Pro were just a few of the games that marked this changing attitude. We learned that a small team was formed to bring these conversions and the occasional original idea to CD-i games. So it's with a hint of pride that Black Moon got the opportunity to speak with Steve Hayes, a former member of the European team responsible for many of the CD-i games we enjoyed and probably still play today. Devin: Can you tell us how you came into employment at Philips Media and what your job actually involved? Steve: I first started talking to Philips Interactive Media Europe (P.I.M.E) about working with them in March 1992. I didn't join them until December of that year. 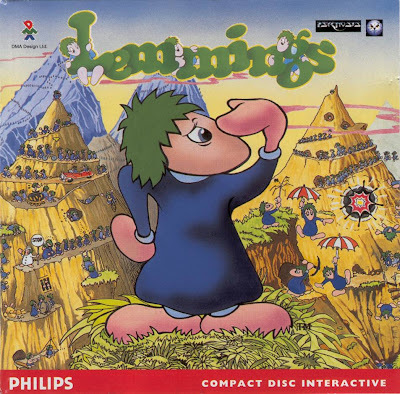 At the time Philips was still emphasising CD-I's multimedia credentials using with the "Imagination Machine" strapline and I had been working as a programmer for a small but progressive multimedia company called New Media Productions. Based in Camden North London, about a mile away from PIME, New Media were churning out good quality entertainment and educational multimedia titles for a range of platforms. New Media could have been called 'The University of New Media' because if you were able to hang in and survive in the deep end long enough you got to learn an incredible amount very quickly. From the sweaty confines of New Media's rather cramped back office I was either working on or sat next to other programmers coding not just CD-I titles but also those for DVI, CDTV and Video CD. Everything was done in-house at New Media from film production, video editing, voiceovers etc... the complete end-to-end production and post-production was under one roof and digital encoding and transcoding for different platforms plus the integration of video, audio and interactive applications by us the artful programmers. There was no testing department as such so we all had a hand in debugging and testing each others applications. The drive to stop re-inventing the wheel and shorten production and development timescales came from a real economic need to get titles finished and out the door. The quicker we got things done the more likely our survival. But most development tools that make a coder's life easy these days just didn't exist so we had to either write them or hunt down something vaguely useful and adaptable by searching online through the arcane academic backwaters of what's now the Internet. PIME had commissioned a number of post-production houses across Europe to develop general multimedia CD-I titles. Whilst these were generally strong on the video and audio production-side, many were less adept at solving some of the early technical 'Gotchas' of CD-I that couldn't always be unearthed from simply reading the Green book. As well there was difficulty in circulating good "...how to..." tricks and shortcuts. The PIME office was in start-up mode when I arrived, and as the only person with 'technical' in their job title at the time, I was jumped on to order, configure and get machines networked together just so we could function as a proper office. As the organisation scaled up, my focus was to get titles 'in production' throughout Europe 'unstuck'. As a consequence, in the early days I did a lot of travelling, dropping into various developer studios, sometimes trying to solve their immediate problems, more often than not these weren't technical at all or at least get away with enough information to feed it back to either Eindhoven or the development outfit in LA for a solution if I couldn't solve it. Some, like the coders at SPC, already knew loads about developing games. Developing game engines was an area I had to get up to speed on, what with how sprites worked, AI and the like. So in essence my job morphed as the emphasis of the organisation changed. Whilst the CD-I specification had been around quite a while, there'd been late attempt from Philips at dovetailing into the games industry just prior to CD-I's launch. In 1991 when Nintendo were at the height of their powers; through Super Mario, a plumber supercharged on mushrooms, and a deal between Philips and Nintendo was announced at CES in June 1991. If it had come to fruition, CD-I would have been transformed into an entirely different beast. Nintendo was Japan's most successful business at the time, earning an estimated $1.5 million from each of its 850 employees that year, even outstripping Toyota in prosperity and influence. With this late deal scuppered, Philips attempted to appeal to a wider audience. CD-I technology had the potential of delivering not just code, graphics and audio but a platter stuffed full of video as well. 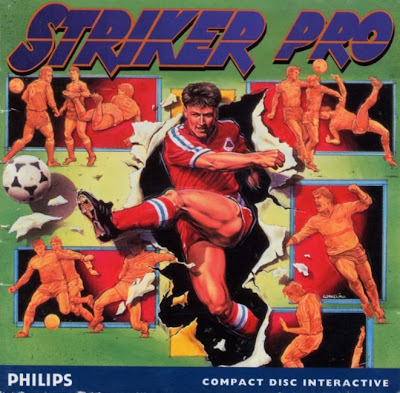 So CD-I was launched with a relatively high price tag and Philips attempted to go mainstream in the US consumer market using multimedia titles as leverage. ('Where is the money' - WSJ Mar 21 1994). But consumers were reported to be confused, not sure enough of what this new multimedia 'Imagination Machine' was supposed to be ('How Philips flubbed its US introduction of electronic product', WSJ Jun 28 1996). The games industry was then, and still is now to some extent, a continual armaments war. Technical prowess includes better graphics capabilities with more colours, higher processing speed, better software etc... To put it frankly CD-I by itself was pretty low on armoury in comparison with what was out there. So no wonder Philips didn't fancy going head-to-head in the games sector and preferred staying in the multimedia 'twilight' zone. Multimedia was the market to make rather than a market to break. If CD-I had been touted as a games machine at its launch in 1991, it would have been obliterated instantly by the games press. After I'd been in PIME a little while, it was clear that games titles actually were selling better than expected compared to others in the offering, especially in Europe. But on the gloomy side it was being reported that CD-I's introduction into US market was faltering (WSJ Mar 21, 1994). As a publisher with expectant masters we had to go with the money. Sometimes it felt like a race against time. I'd been working on getting many of the European games titles out (i.e. The Apprentice, Don Bluths' Space Ace, Dragon's Lair I and II etc...) so when Philips Media Games was formed I was asked to join and carry on much of the same work. At the time that meant not only project managing third party games titles to ensure they were delivered on time as a master copy to the testing facility but also signing-off most of the CD-case art and booklet text or sometimes writing it. I got the original developers to write cheats for the magazines or sometimes had to write them myself. I got to know some CD-I games a little too well sometimes. Devin: What sort of reaction did you typically receive from game developers when approached to make a game for CD-i? Steve: There weren't too many around in the games industry who had the time to open their doors to us. In terms of armoury and market share, CD-I was, from their perspective at least, at the bottom of the pile. And the lack of integration with commonly used games development tools meant many of the games industry veterans I met felt it'd take an inordinately huge effort to write games for CD-I. But what counted most was market share. The number of units you had in homes around the world (termed 'the installed base') equated to future cash for what was likely, for most games developed, to be a loss making effort. Developing for a platform with a huge installed base would afford that platform a large amount of shelf space in retail stores. That meant even if your title was an 'also ran' you might still recoup your losses. If it were a hit then there'd be the opportunity to make £££millions in sales. However, CD-I had a relatively small market share in the early 1990's and when we began approaching games developers most would simply wave the latest CVG figures at you. Initially CD-I wasn't even listed in CTW, which shows you how bad things were. Crucially though, persistence is everything and doors did open. There were some extremely friendly developers out there who were willing to listen and give us an inside track. The contacts that Eric Lux, Julian Lynn-Evans and others fostered within PMG, helped raise the profile of the platform and as more developers started to take us seriously things became a little easier. As I found, working on a platform with less 'umph' has its own challenges that todays mobile games developers are faced with. Sometimes less really is more (difficult). And some developers find that challenge worth taking up because no matter how flashy things get, a good game is all about excellent gameplay within the right context.